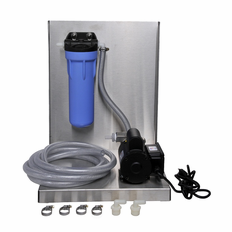 Industry and commerce demand cleaning systems that keep production in motion. 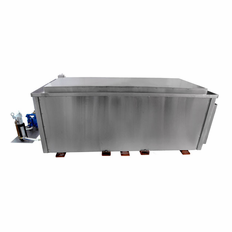 SharperTek® industrial ultrasonic cleaning systems deliver on these demands. 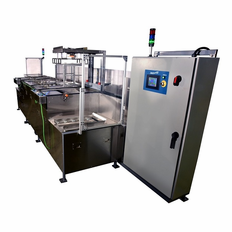 Each of our systems features digital controls, stainless steel construction and high quality piezo elements. 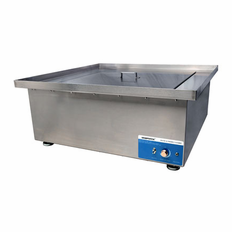 For over a decade SharperTek® has been an industry leader in single frequency ultrasonic cleaning technology, and now also leads the field in multi frequency ultrasonic cleaning and ultrasonic sweep cleaning technology. 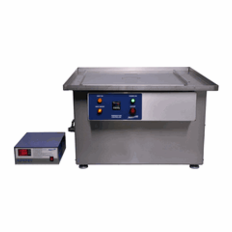 Click here for a Industrial Ultrasonic Cleaner Brochure. Contact SharperTek® engineering at (877) 234-6938 to have an engineer answer any questions you may have about using a SharperTek® ultrasonic system for your cleaning application. 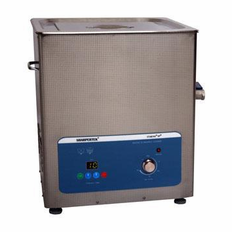 Industrial Ultrasonic Cleaner by Sharpertek USA. 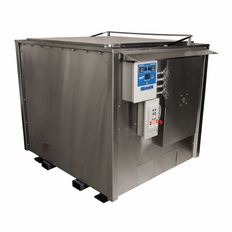 Heated Ultrasonic Cleaner SH500-15L 4.5 Gal. 11.5"×11"×8" (Tank L×W×Depth) with Sweep and Degas by Sharpertek USA.